G’day FAB fam! My name’s Matt and I’m one of the guys behind the GrindeROO brand of smoking accessories and merch. 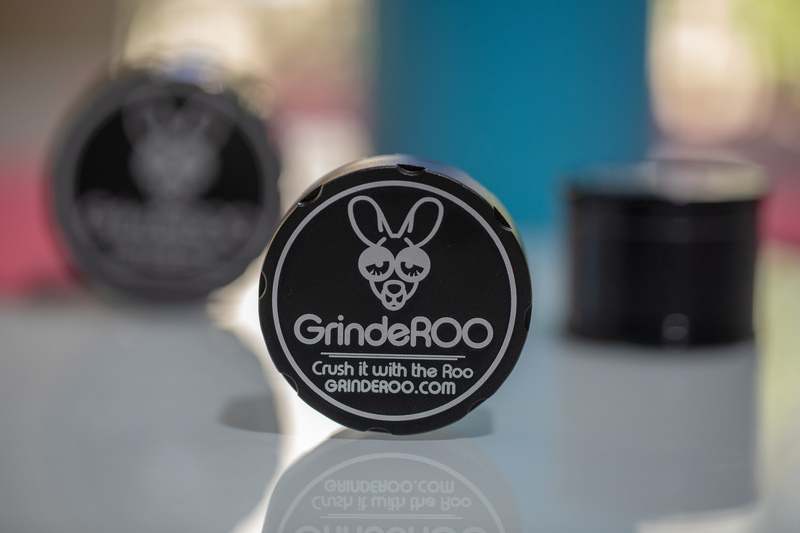 Our GrindeROOs have been floating about for a few years now, but this year in May at the Sydney HHI expo marked the release of our first grinder in our new signature line of sesh essentials; the 63mm OG Roo. Herb grinders are an essential component to getting high. 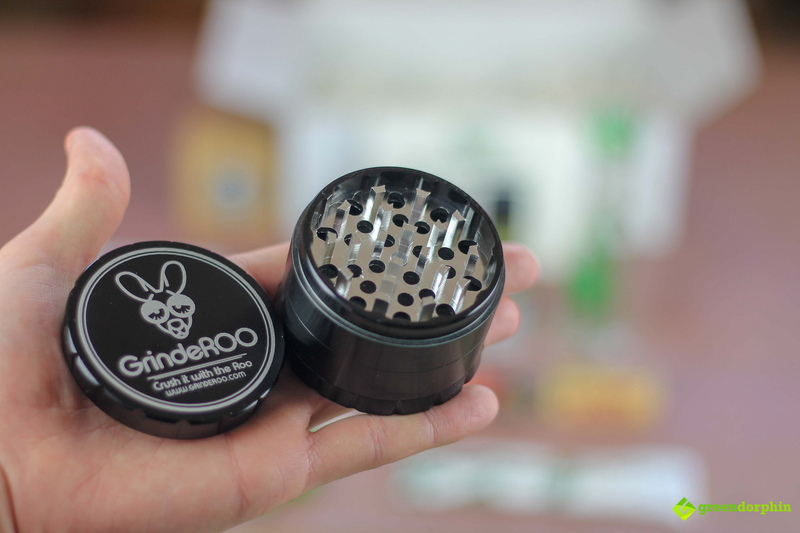 Unless you’re still crumbling up weed in your fingers or ruining pairs of scissors, you’re going to need some type of grinder regardless of your consumption method. 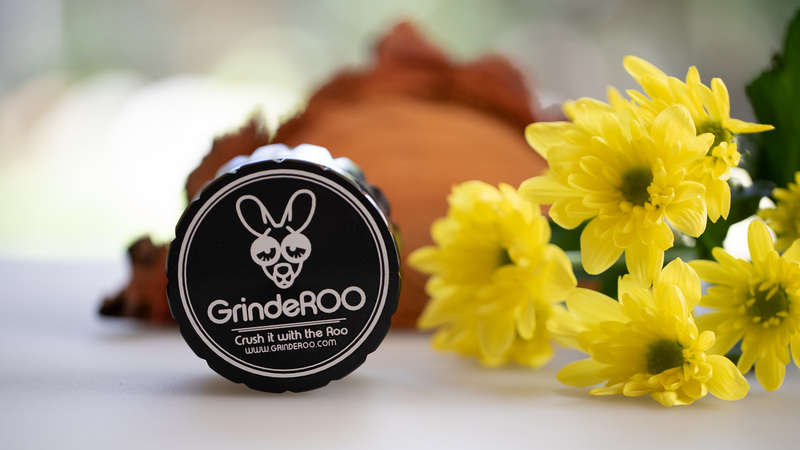 Before I touch on some of our products, I’m going to fill you guys in on what the GrindeROO brand is all about…. 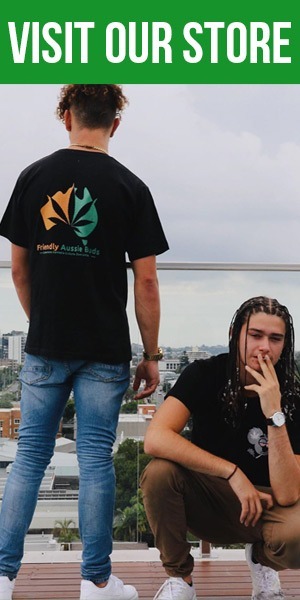 We’re a team of young weed lovers that are based out of Queensland and have been collaborating together in the herbal space for a while now. We saw that the market was flooded with over-priced American brands that were charging more money than your herb would cost for a simple grinder in most cases. 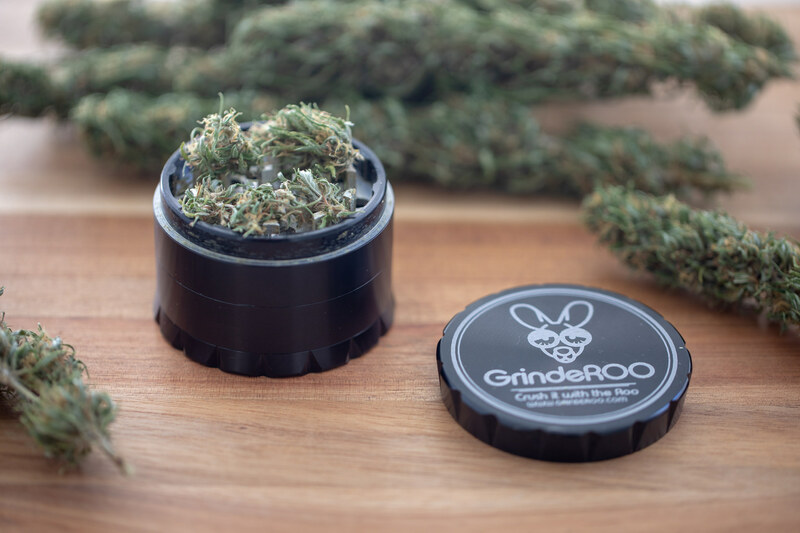 Aussie’s are known for being tough-as-nails with that never-say-die attitude, and we wanted to come up with a herb grinder that would reflect our quintessential values! 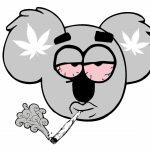 Most Aussie consumers that are looking for a decent grinder for their weed will rarely search further than the kitchen appliance aisle at Kmart, but there are so many benefits to using a hand grinder over an electric muzz. The $13 whirly-bird that most of my friends and I used prior to scooping a Roo was great for crushing up the compact questionable weed that we used to scoop, but for anything that was properly dried and cared for there was always the issue of turning your prized buds to dust. Now, ultra-fine chop may be great for a one-gram bong-of-death, but most vapers, joint smokers, or pipe-lovers wouldn’t dream of crushing their weed up to this extent. One of the largest benefits of using a precision hand grinder are that you can get a consistent chop going every time! Consistency is so sought-after in the world of weed. We want our joints and blunts to burn evenly, or vaporizers to bake the herbs without hot-spots, and our cones to pull right through the CP, so why wouldn’t we want a consistent chop? Aside from that, coffee grinders diminish the quality of your weed as they extract trichomes, the essential resin glands that are full of cannabinoids, at a far more alarming rate than a hand muzz would. 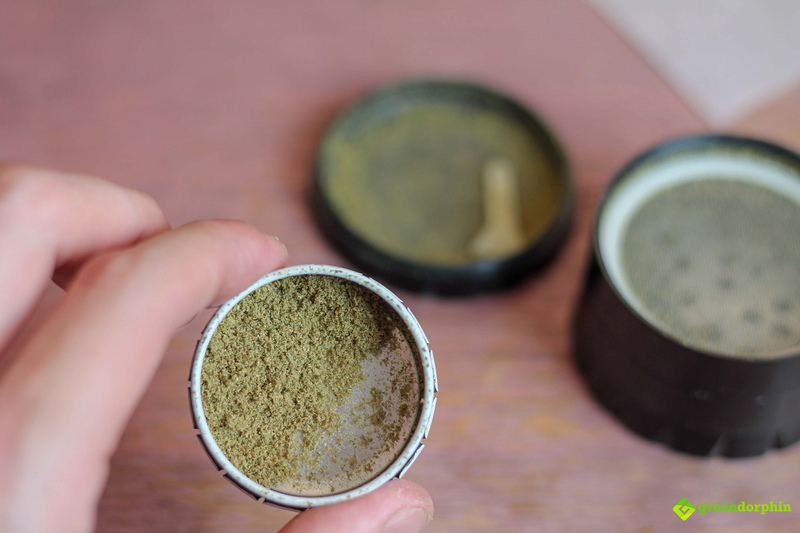 These kief particles collect all over your grinder, caking themselves to the blades, the lid, the walls. Everywhere. Now we used to use a BIC to melt a little pocket in the lid to collect our dusties, but that being said, wouldn’t it be easier to just have them all in one tiny compartment? Poppin’ the top off your Roo will reveal the ultra-sharp teeth within. These things could chomp a croc and spit it out in pieces. All of our herb grinders also feature ergonomic moldings to improve grip and ultimately give you an easier time crushing up your herb. 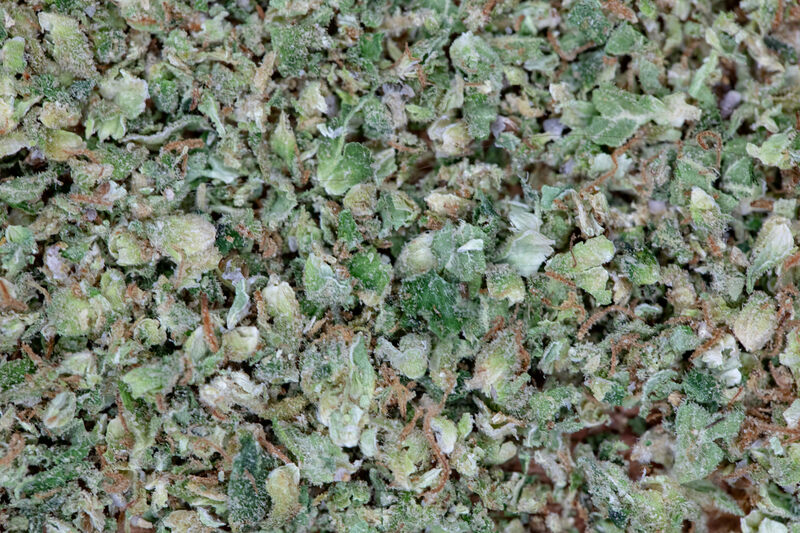 To get started with crushing your herb, simply break down a nug into a few medium-size pieces and replace the top. 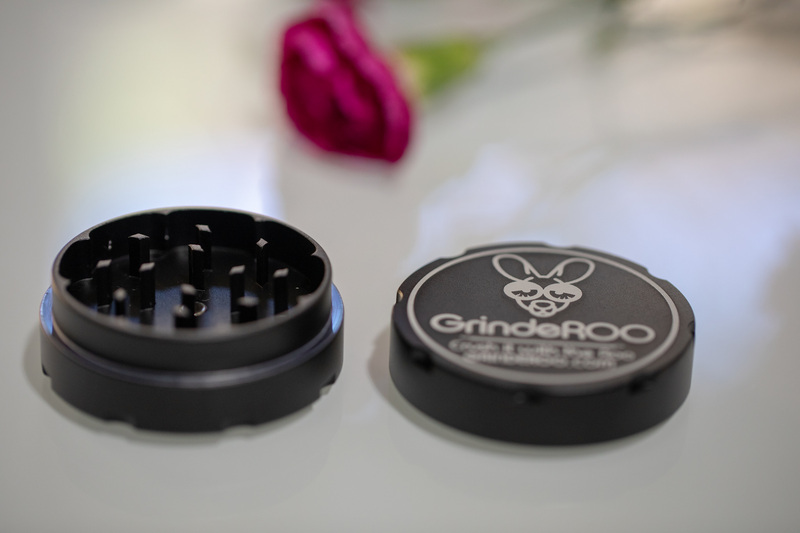 Regardless of what type of herb you are using, the GrindeROO’s sharp teeth will help to deliver a beautifully consistent grind that is neither too coarse or too fine. The buds above were some beautiful organic bush that I received from a mate. Although these flowers were drier than average, the chop that was delivered was phenomenally even. Out of all of our GrindeROOs, the OG Roo is without a doubt the strongest. It features two separate types of teeth; zinc ion for enhanced crushing and stainless steel brushed aluminum alloy for that non-stick finish. Fallen in love already? You can scoop up the OG Roo here for only $35! Beaut mate. She chops beaut. When you’re dealing with some herb that’s a little bit denser like this Wi-Fi OG pictured above, the Roo is in its element and will quickly go to town on any bud you throw in its path. While we wouldn’t recommend smoking any weed that’s been grown using PGR’s, I had some crappy old PGR weed lying about from a botched re-up ages back and had to try it out to see if the GrindeROO would crush it. True to its word – the OG Roo chomped through even the fruitiest of pebbles…. “I love using my coffee grinder because it collects heaps of dust.” False. What you’re collecting is herb particles mixed with dust that won’t be the purest quality. If you’re looking to press some rosin or full-melt you’re going to need a filter. The 4-Piece GrindeROOs come fitted with a larger-than-average micron screen that has been optimized to pick up trichome glands of all sizes. That being said, you’re never going to get any green bits in there. The Greendorphin crew recently used the kief from a Roo to make some hash and had fantastic results owing to the double-width screen. Our family of GrindeROOs recently grew to three with the inclusion of the TinyROO and the 2-Piece Biscuit Grinder. Personally, I am a joint guy and prefer using a 2-piece grinder so that all of my kief remains intact so that I’m left with the strongest end-product possible. That being said, when I’m packing up a pipe or a vape I prefer to use a 4-piece grinder so that I can get away without having a chop bowl or rolling tray laying around. Let’s have a closer look at the rest of the GrindeROO fam. The biggest feedback we received about our OG Roo was that it was a little big and not necessarily the most portable herb grinder. 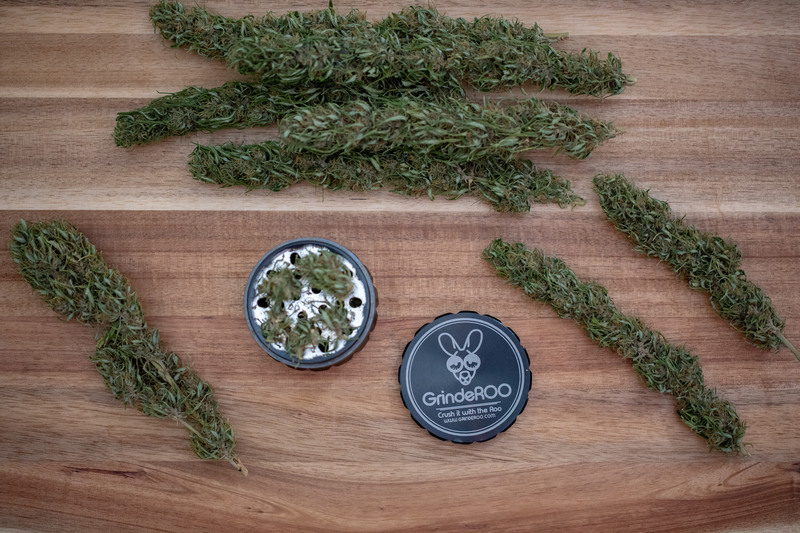 We realised that most Aussies who take their herbs out and about are not wanting to lug around a backpack or a big grinder, so we hit it back with the pocket-sized TinyROO! Like the 2-Piece Biscuit, the TinyRoo has a diameter of only 55mm making it the perfect hand muzz for taking on the go. 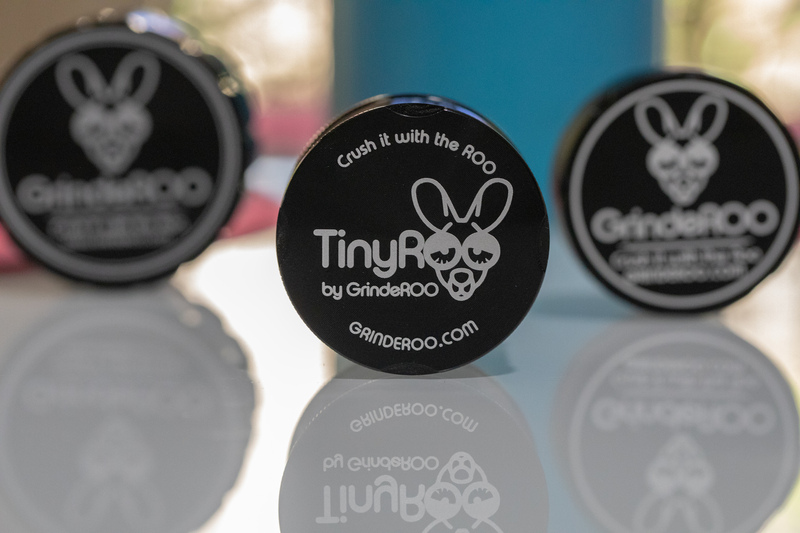 Just like our OG Roo, the TinyROO comes equipped with a double-width micron screen for optimized trichome collection and has a herb chamber that can accomodate roughly a gram. 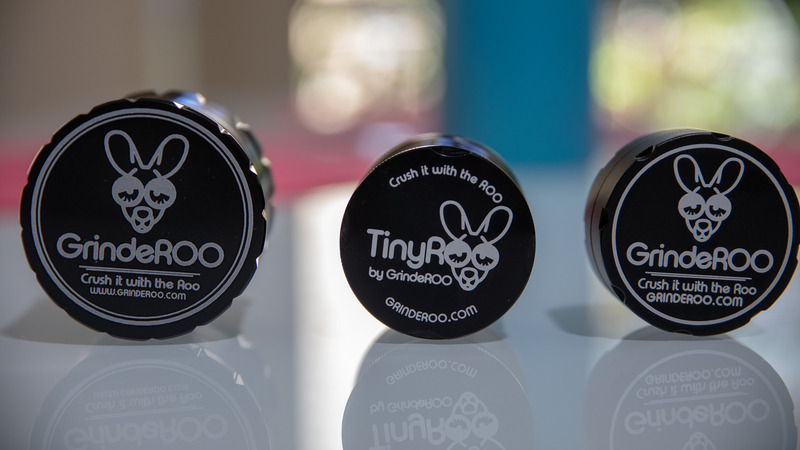 The TinyROO’s ergonomic grip is a little less pronounced than that of the OG Roo or the 2-Piece Biccie, but is perfect for slotting your fingertips into so you can maintain a steady crush. 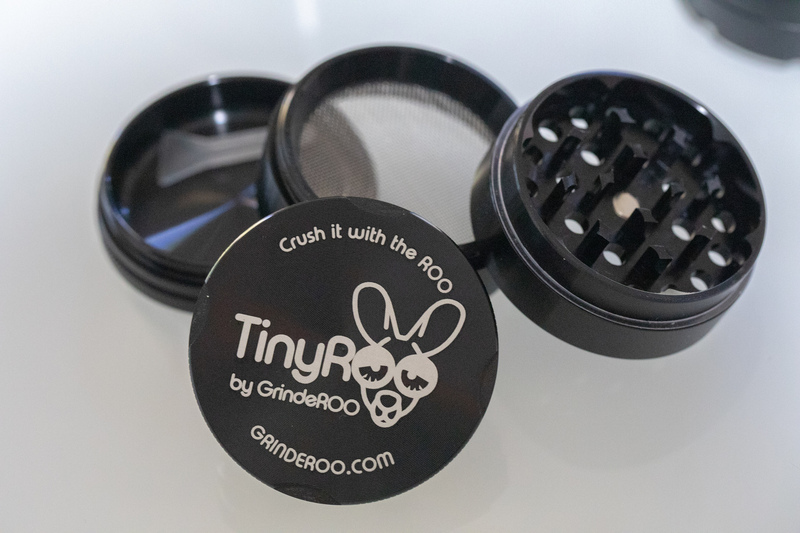 If you’re in the market for a herb grinder that will collect you some kief without taking up all the space in your smoke box, the TinyROO sounds like the mully for you! Arguably the most common hand grinder out there is the two-piece grinder. Using a simple 2-piece to crush up your herb is not necessarily the easiest way to get a consistent grind, but it is super simple and super portable! A 2-piece grinder is perfect for a pocket-sized sesh kit or smoke box as it barely takes up any room. Our 2-Piece Biscuit Grinder has been engineered for high-powered crushing and has awesome dexterity. The Biccie is weighty for a 2-piece, coming in at 105-grams. Its lid is gear-shaped to ensure that a strong grip is maintained and the teeth are next-level sharp. Our GrindeROO 2-Piece Biscuit is pretty unique. Unlike most grinders that have large chunky teeth and almost no gaps in between, the Biccie comes with teeth that are only half the width of our other grinders and the teeth are a lot less crowded. This means that you can add more herb and get less resistance when you are trying to get the initial motions started. Also, I’m yet to find a 2-piece that doesn’t get stuck after a couple of eighths. Until now. 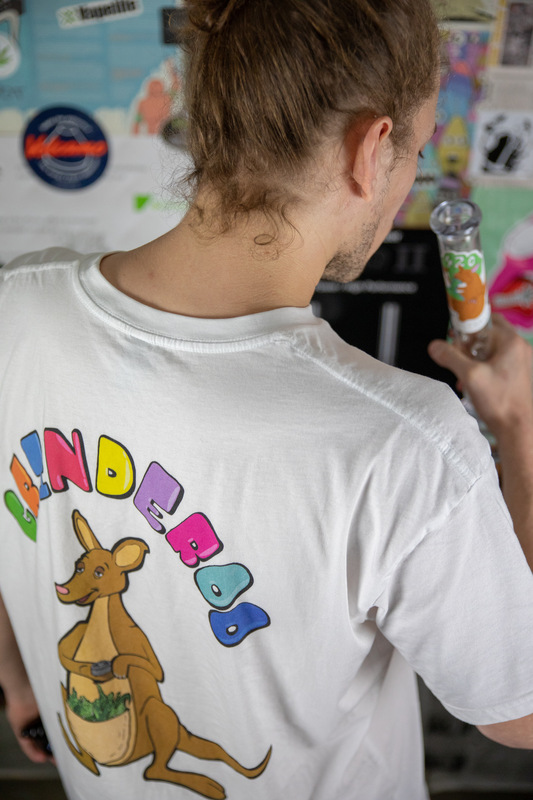 The GrindeROO line of merch was recently launched and includes a number of branded AsColour tees that were designed and printed right here in Oz. We’re planning on keeping you guys looking fresh at the sesh for all four seasons, with Summer and Winter drops already in the making. 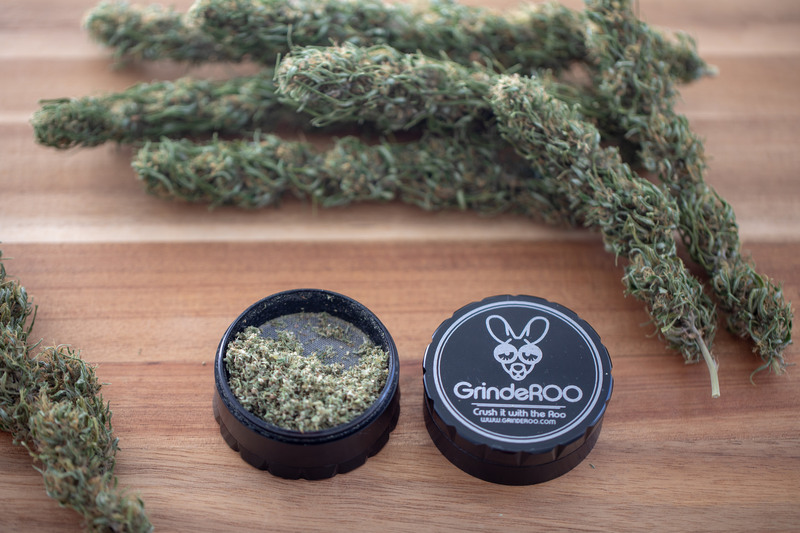 Check out the whole line of GrindeROO sesh essentials and merch at GrindeROO.com and save 10% on your first order with the code FAB10!